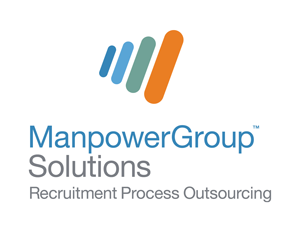 In ManpowerGroup’s newly released white paper, “What You Should Look for in an RPO,” the company advises that organizations outsource or transfer at least a portion of their recruitment processes to third party recruitment process outsourcing (RPO) providers. Such a shift is becoming vital due to the ever present skills shortage and talent mismatching. ManpowerGroup suggests that organizations must look beyond traditional service agreements and processes and partner with RPO providers with specific expertise. Successful RPOs anticipate trends while understanding how they are shaped within the marketplace, thus assisting their clients with access to the best in global and local talent. ManpowerGroup adds that top RPO providers use state-of-the-art recruitment technologies and know how to use data from multiple sources in order to keep decision makers fully informed. Competent RPOs also speed up implementation of the best recruitment solutions at the lowest cost. The use of RPOs opens up organizations to refocus their resources on strategic initiatives. The white paper also qualifies the best RPO providers as those that supply clients with long-term solutions that adapt to the evolving workforce and an uncertain economy.